Jumping up with the crack of thunder, I ran through the pouring rain to grab my tripod out of the car, forgot the plate, back to the car, back to the house. When I finally had everything I needed, I climbed out my front window, around the side of the house and up to the roof. 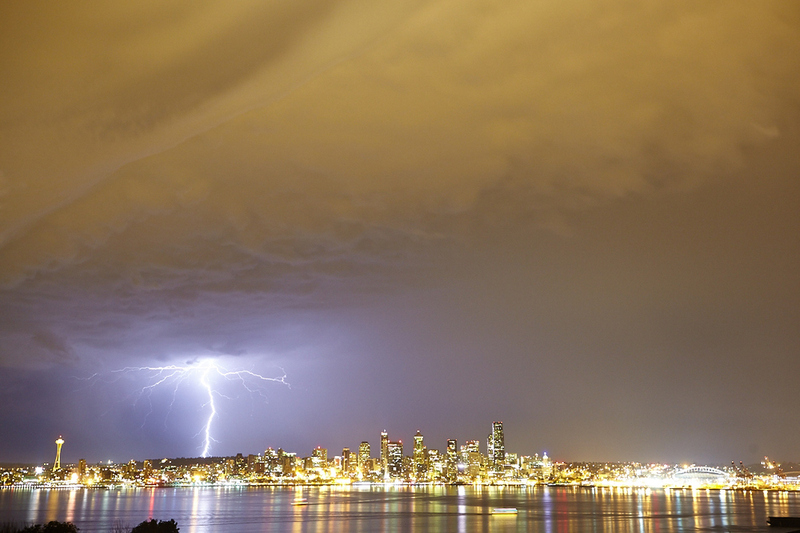 The lightning was beautiful and something Seattle doesn't get to see that often.